When RSVP’ing to these events, please note the email address; replying to this email does not automatically get you on the appropriate list. Volunteers are needed to count and survey homeless persons in the City of Palm Springs. The Point-In-Time Homeless Count is an effort to learn who are experiencing homelessness. The resulting information is beneficial toward accomplishing local and federal goals to end homelessness. No prior experience with the Homeless Count is needed! This is the time when the largest number of volunteers is needed. during the time agencies offer free lunches to the homeless. To register, go to www.rivcoexchange.com, be sure to click “Palm Springs” when asked for location! Volunteers are encouraged to attend a training session on one the dates below. If you are unable to attend a training session you can still participate in the Count and will be assigned to a group with an experienced leader. The various duties include a silent auction, check-in, set-up, clean-up, and other general assistance. The wineries and restaurants participating in this wonderful event all donate items that will be included in a silent auction that benefits the clients of Desert AIDS Project. The Star Dedication Team will arrive at 3 PM and stay until 8 PM. The duties will include putting nametags on 100 chairs outside, security and clean up. The VIP Party Check-In and Security Team will arrive at 4:30 PM and stay until 8 PM. These duties include check-in, security and clean up. Volunteer Arrival Time is 3:30 (we are providing an early dinner) and the event runs until 11 PM. 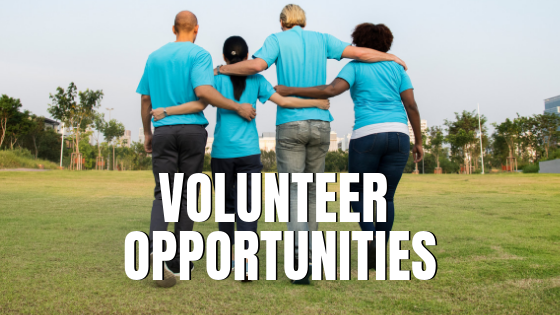 We are looking for volunteers to help with red carpet, security, pre-registration, silent auction table monitoring, ballroom ushers, live auction and live ask assistants, and clean up. This is a formal event. The attire is formal for women and dark suits or tuxedos for men.